It’s always been hard for me to get into the men of the pre-Code era. Where the woman are freewheeling and dramatic, machismo seems to be the ruling law for men. Rarely do they get to explore their souls and position in society with as much verve as the women. But LaSalle’s book proves me wrong. 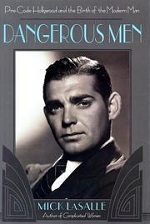 Instead of viewing pre-Code movies through a modern lens and seeing them as reductive, LaSalle uses the emergence of many great sound stars in the early 30s– Robinson, Cagney, Gable, etc– as a pivot point between the respectable businessmen from the turn of the century and the carefree playboys of the jazz age to more of a cynical, ironic view of life. I adore the way LaSalle structures the book. Rather than a straight chronological view of the period, LaSalle looks at the strands of the portrayals, working his way through gangster movies and Barthelmess’ social critiques, finding the truth in those movies and the movies they represent, and moving on. He starts by prototyping the male silent film hero, from Douglas Fairbanks to Rudolph Valentino and outlining their defining characteristics– their big smiles. Their confidence and forthright nature lack complication, something that the sound revolution finally allowed. The emergence of gangsters as protagonists in the early 30s leads the way for the emergence of more morally questionable men, from Warren William’s scoundrels to Lee Tracy’s admirable hucksters. 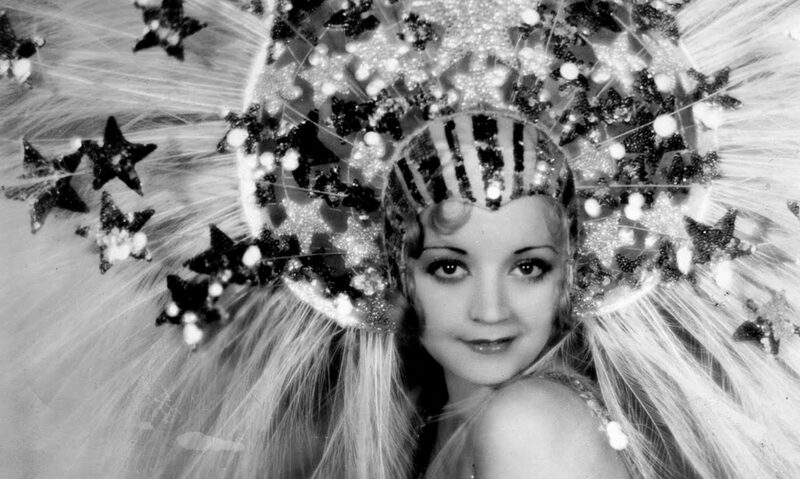 For people unfamiliar with pre-Code films, there’s a good list of recommendations to be found here, as LaSalle brilliantly pinpoints the most engaging actors of the time and why they are not just stars of early sound but complete products of their era. Lee Tracy, Warren William, and Richard Barthelmess were at the height of their powers and what they could show onscreen without censorship, and LaSalle correctly highlights their best roles and why their personalities still ring true today. Dangerous Men isn’t as strong of a book as Complicated Women, if only because most of the male roles that emerged in pre-Code endured, unlike the stronger female roles that would be neutered by the Production Code. But LaSalle’s playful writing and his expert ability to draw together threads make his portrayal compelling, and a quick, fun read for anyone looking for more information about the pre-Code era. Length: 215 pages, 258 with appendixes and index. Follows LaSalle’s companion book, Complicated Women.